BBJX is a period drama (Qing Dynasty) with plot that revolves around history (with a dash of fiction), romance, conflict and politics. Zhang Xiao, a young woman from the 21st century, suffers a traffic collision after work that sends her back in time to the Qing Dynasty during the Kangxi Emperor's reign (in the year 1704). She finds herself trapped in the body of a young daughter of a Manchu aristocrat, Ma'ertai Ruoxi, a younger sister of Ma'ertai Ruolan, who is a concubine of the emperor's eighth son, Yinsi. Stranded in the past, Ruoxi must adjust. She meets some of Kangxi's other sons, including the fourth prince Yinzhen and his full brother, the fourteenth prince Yinti. She forges a close friendship with the thirteenth prince, Yinxiang. Using charm and wit, Ruoxi wins the emperor’s favors and becomes his lady-in-waiting, attending the monarch and his family. During Ruoxi's stay in the Forbidden City, she and Yinsi develop a mutual attraction. She initially rejects him but later agrees to marry him if he gives up competing for the succession to the throne. Ruoxi knows that Yinsi's ambition will ultimately lead to his death in prison after Yinzhen becomes emperor. Yinsi refuses and Ruoxi warns him to be wary of Yinzhen, giving him a list of those who would support his ascension. After breaking up with Yinsi, Ruoxi's falls in love with Yinzhen. Meanwhile, Yinsi and his supporters, acting on Ruoxi's advice, frame Yinzhen for plotting against the crown prince Yinreng. Yinxiang takes responsibility and is sentenced to house arrest. After this incident, Yinsi realizes that Ruoxi is romantically involved with Yinzhen. Yinreng is deposed for his criminal ways and imprisoned. Kangxi then begins showing preference for Yinti and offers Ruoxi as a concubine to him. However, Ruoxi boldly defies the emperor's order and is demoted to the laundry. 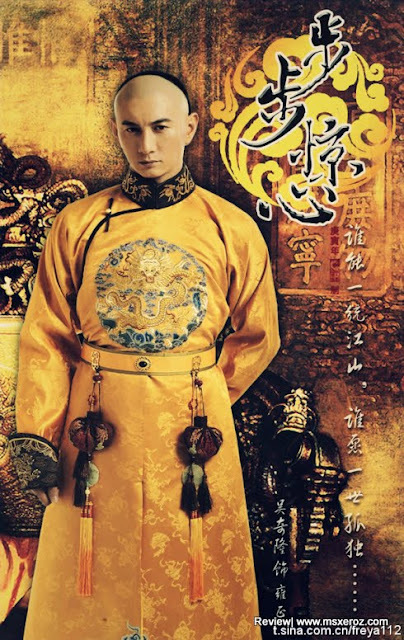 Kangxi eventually dies of illness and with military support from Longkodo and Nian Gengyao; Yinzhen stages a coup and seizes the throne from Yinti to become the Yongzheng Emperor. Yinzhen then releases Yinxiang from custody and starts a romantic relationship with Ruoxi. In an attempt to keep the secret that Yinti was named heir before their father's demise, Yinzhen places him under house arrest. Ruoxi is often caught between the rival factions. The ninth son, Yintang, manipulates Yinsi's wife Gororo Minghui into telling Ruoxi that Yinsi acted against Yinzhen years earlier. Ruoxi is shocked by this revelation, and in addition, remembering Yinzhen told her once that he initially had no desire to become an emperor, she realizes her actions are inadvertently shaping events (see predestination paradox). Her despair causes her to miscarry and become critically ill. Enraged, Yinzhen blames Yinsi and his wife, issuing an edict forcing them to divorce, which leads the latter to commit suicide. Remorseful of the consequences, Ruoxi confesses the truth to Yinzhen and Yinxiang, leading Yinzhen to treat her coldly. 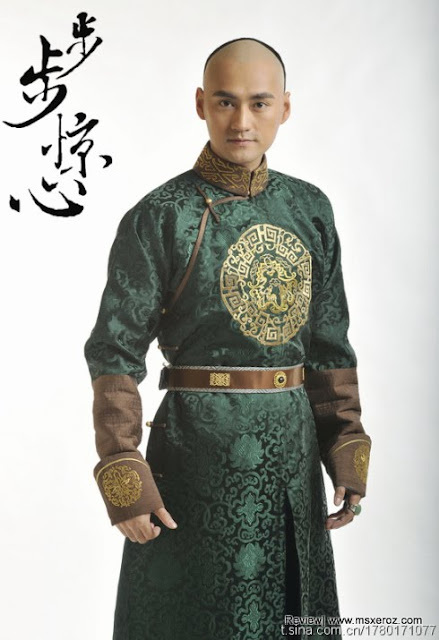 Ruoxi is unable to withstand the mental stress and asks Yinti to help her leave the palace. Yinsi knows that Yinzhen will not allow Ruoxi to leave and decides to intervene. He discloses details of his past romance and an angered Yinzhen eventually agrees to let Ruoxi and Yinti leave. Ruoxi's emotional anguish affects her health. She begs Yinti to send a letter to Yinzhen, requesting to see the emperor one last time before she dies. However, a misunderstanding causes the letter to be thrown aside unread. After three days, Ruoxi concludes that Yinzhen's absence confirms that his love for her has ended, and she dies (in the year 1725 at the age 35). When news of Ruoxi's death reaches Yinzhen, he rushes to Yinti's house, regretting his actions after learning that Ruoxi still loved him. 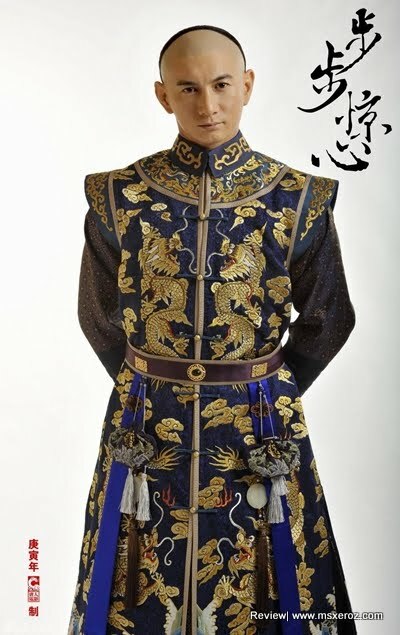 Blaming Yinsi and Yintang for Ruoxi’s death, Yinzhen charged his half-brothers for ambiguous offenses and banished them from the imperial household. Both would eventually die in 1726, as Rouxi predicted. These are the selected 5 characters that were the core-actors that made the storyline flow so beautifully. Throughout all events and circumstances, the princes grew up with Ruoxi and would protect her from the harms of the palace, and they all loved her. As romantic as it is, I find it "troublesome" for a girl to be loved by almost everybody. 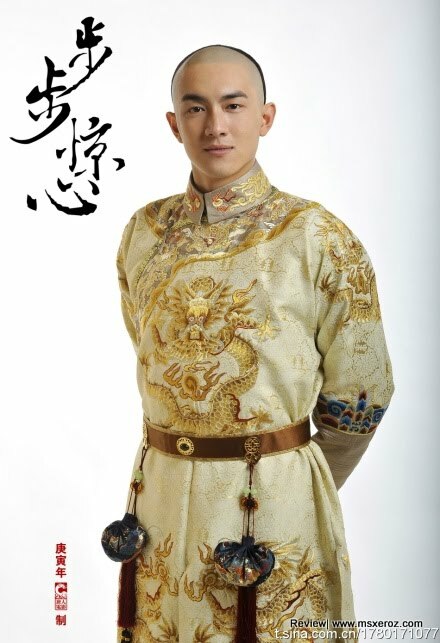 Emperor Kangxi loved her (as a daughter), 8th Prince loved her, and she returned his love, but as fate twist and turned, she find herself in love with 4th Prince. The notorious Crown Prince also requested her hand for marriage, and at the end 14th Prince found out that he loved her too! A tinge of comedic moments also enlightens up the plot. The casual relationship between Ruoxi and 10th Prince are really funny. And also the BFF relationship she has with 13th Prince was delightful to watch too! 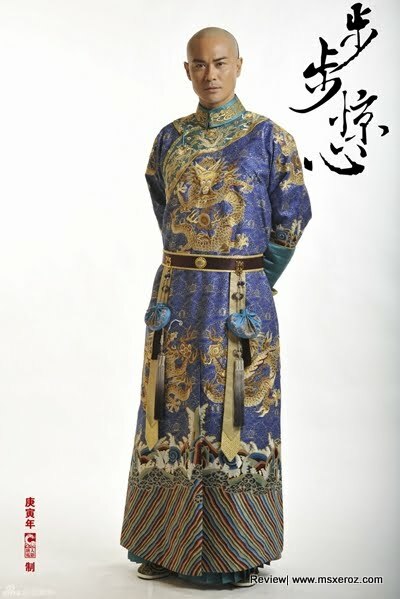 It's really a beautiful drama, with nice costumes and scenery. I heard that BBJX 2 (based on modern story) will be produced, and they are retaining the same casts! add-ons, earrings, earstuds, necklace, rings, hair, bangle & bracelet add-ons. superintendence that can do this.